Here are five first books for fledgling readers that offer the enjoyment of a good story along with the thrill of accomplishment that comes from independent reading. Written in short, easy phrases with carefully selected vocabulary and plentiful illustrations, each book helps youngsters achieve success as they have fun. The series follows three friends who love to share stories. In each book, one is reminded of a well-known story: Little Red Riding Hood in It's Not About the Hunter!, Beauty and the Beast in It's Not About the Rose!, Snow White in It's Not About the Apple!, Cinderella in It's Not About the Pumpkin!, and Hansel and Gretel in It's Not About the Crumbs! As one friend starts, the others are reminded of versions they know so each volume has three stories within one framework. The stories come from around the world, and Veronika Martenova Charles provides a note at the end of each book to describe the origins. Easy-To-Read Wonder Tales is a great first step in developing a lifelong love of reading, and it makes a fine companion to Veronika Martenova Charles's series, Easy-To-Read Spooky Tales. 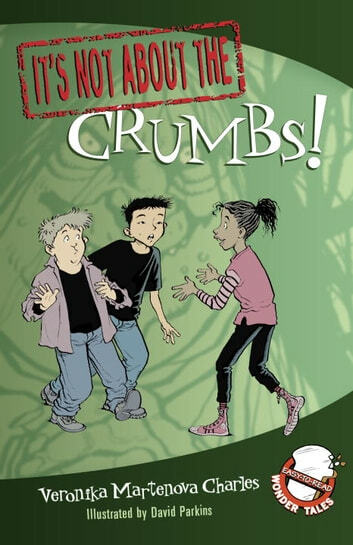 Livres similaires à It's Not about the Crumbs!